Cottonelle recently came out with this commercial which mimics a television news story. I found this ad odd. It’s clearly supposed to be funny in its absurdity, but when local news channels actually do run stories this pointless (and worse) all the time, it’s hard to really just laugh at it. It also feels a bit disjointed – because they needed to get the plug for the product in, they sort of abandoned the news story partway through, which makes it feel even more pointless. I think that they were on the right track with the debate idea – if you ask people a question like that or start a discussion about it, people actually will think about it and start to express preferences. And that might get them to think about their product preferences and remember your name the next time they shop. Unfortunately, this didn’t talk much about the survey they did or how they responded to it. They appear to have actually done something to either the product or packaging in response to this survey and that didn’t get talked about here at all! I think this ad was a wasted opportunity and I found it annoying and disappointing. Hopefully Cottonelle will manage to do something more interesting than this with the marketing around their new product and the results of their survey. 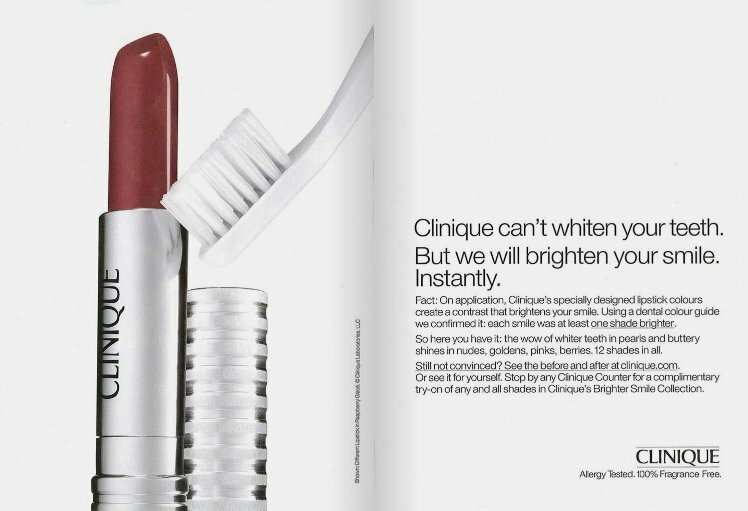 I came across this magazine ad for Clinique lipstick recently and just had to post it. Clinique can’t whiten your teeth. But we can brighten your smile. Instantly. Fact: on application, Clinique’s specially designed lipstick colours create a contrast that brightens your smile. Using a dental colour guide we confirmed it: each smile was at least one shade brighter. So here you have it: the wow of whiter teeth in pearls and buttery shades in nudes, goldens, pinks, berries. 12 shades in all. Still not convinced? See the before and after at clinique.com. Or see it for yourself. Stop by any Clinique Counter for a complementary try-on of any and all shades in Clinique’s Brighter Smile Collection. I find this claim very strange. I have no problem believing that a lipstick and make a smile seem brighter, but I can’t see how it could make any real changes that would show up on a color guide. Because it’s not actually changing the color of your teeth, it’s just an optical illusion. And that can work great – I’m not saying it’s not a totally worthwhile way to make teeth appear whiter – but it’s not true shade changing. The image of the red lipstick with the white toothbrush seems to reinforce the claim that this lipstick can make your teeth look whiter. It’s a well put together image for the rather deceptive claim. I just kind of have a problem with that deceptive claim. Despite starting with the sentence “Clinique can’t whiten your teeth”, the entire block of text seems to be trying to convince the reader that they can do exactly that! It’s annoying. So I don’t like this ad very much, despite the fact that I actually think it’s a good angle for a lipstick line to take in their marketing and I’m a little surprised I haven’t seen anyone else using it. The days of comic books being for kids are long since past, but that doesn’t mean that kids don’t like or need superheroes. Little boys still pretend to be Spider-Man and little girls still run around as Supergirl. To help fulfill this common desire for superhero stories in kids, the major comic publishers have kids’ lines that specifically tell stories about their major, popular heroes for kids. Sounds great, right? One problem. Someone at these companies seems to have failed to notice all those girls, because the default assumption in the kids’ lines is very clearly that girls don’t need superheroes. The team that makes up the DC Super Friends consists of Batman, Superman, Wonder Woman, Green Lantern, Flash, and Aquaman. All six work together in basically every issue of the comic to solve problems and save the day. The above cover is from the second trade paperback, which collects several issues of this comic. Notice anyone missing? She’s missing from the first book cover too. Worse, she’s not in the toy line. Not a single female character is. There’s probably six versions of Batman in the line as well as any number of other characters not central to the stories (Cyborg, Hawkman, etc. ), but not a single woman. And they have no intention of ever making one. 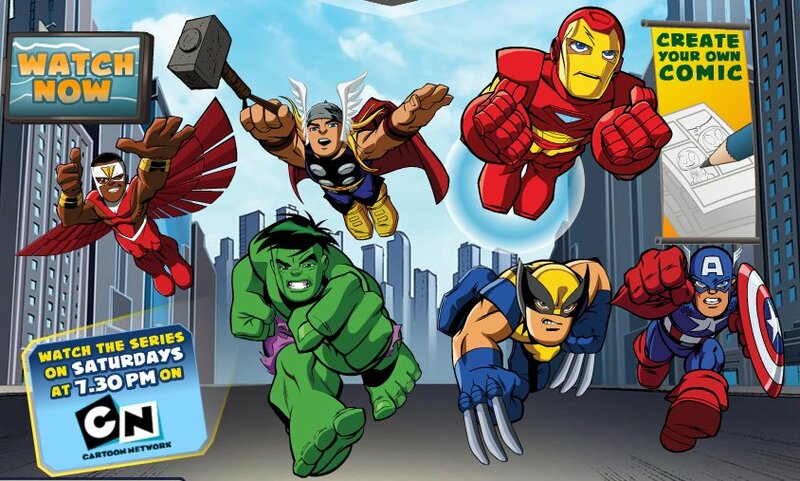 Marvel’s little kid super hero team is called (creatively enough) the Super Hero Squad. That’s them in the picture above. In Marvel’s team there isn’t even a female character to begin with! If you dig through the website about them there is exactly one woman listed under “Heroes” and one under “Villains”. The female hero is Ms. Marvel who is explicitly not a part of the Super Hero Squad, although she does work for the same organization, and is actually referred to in her bio as Ms. Crankypants. Nice. The female villain has a crush on Thor. I couldn’t find either anywhere on the site except for the section listing characters. What I noticed most about both of these superhero properties is that both have women characters, but both are explicitly marketed without them. This is most marked in DC Super Friends, since Wonder Woman is a central character in the stories, yet is completely removed from all marketing materials for the property. She doesn’t appear on any book covers, in any merchandise or in any of the ads that I’ve been able to find. These are particularly notable properties because they are, for both companies, the property aimed at their youngest customers. Marvel has “all ages” versions of several of their major characters which they market to kids, but they involve more complex stories and art, pushing them to a slightly older audience than the easily pre-school and young elementary friendly Super Hero Squad. DC has a whole line of kids’ properties, but they too are largely aimed more at older elementary and middle school kids who are comfortable reading on their own and desiring more complex stories. 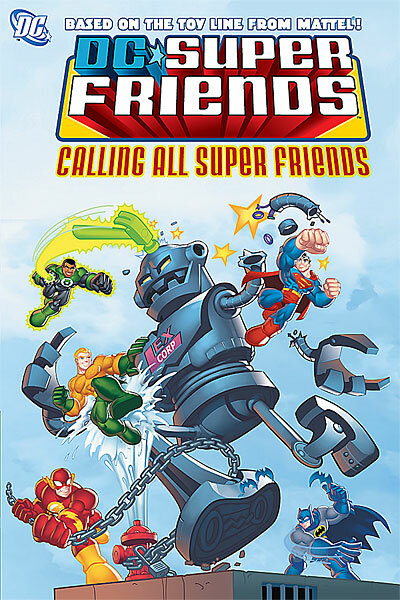 The only title they have which can easily be enjoyed by such a young audience besides DC Super Friends is Tiny Titans, which is clearly written with an audience in mind that already knows the characters at least a little bit and does not show the characters being superheroes, but rather focuses on superheroes living regular kid lives. So the question is, why market them this way? If you don’t want girl customers, why include the female characters at all? What’s the point of Wonder Woman even being on the team if you only plan to pretend she isn’t there? And if you aren’t explicitly trying to alienate female customers, why specifically leave the female characters out of all marketing and some major parts of the product lines? 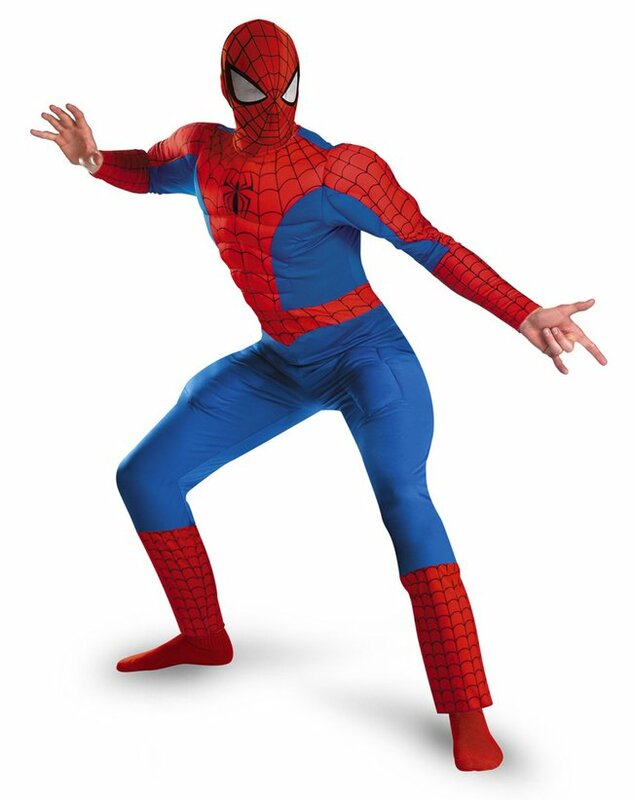 The biggest problem here is that this doesn’t make financial sense – a girl pays just as much for a comic book, t-shirt, action figure or costume as a boy does, so why deliberately ignore them when they are half the market and when appealing to them at the young ages these product lines target could mean you get a customer for life? It’s not even that getting a kid hooked on comic books young means they’ll read them forever, lots of people read comics as kids and stopped at some point just like lots of adults never read them as kids but do now. It’s more that if you tell that customer base that you don’t want them from the start, the message sinks in deeper, so you’re deliberately turning away someone who might otherwise have been interested, and then you’ve probably lost them for life. The messages we hear as kids mean a lot, even when we don’t think about them. So why would you ever want to make your message “we don’t want your money, superheroes aren’t for girls”? This is a recent ad for CoverGirl makeup starring Drew Barrymore. I’m pretty sure this ad is trying to say that CoverGirl makeup is inexpensive but doesn’t look like it, and thus is a good deal while the economy is bad. Because even if you’re having to cut back on your expenses, makeup clearly isn’t something to skimp on. 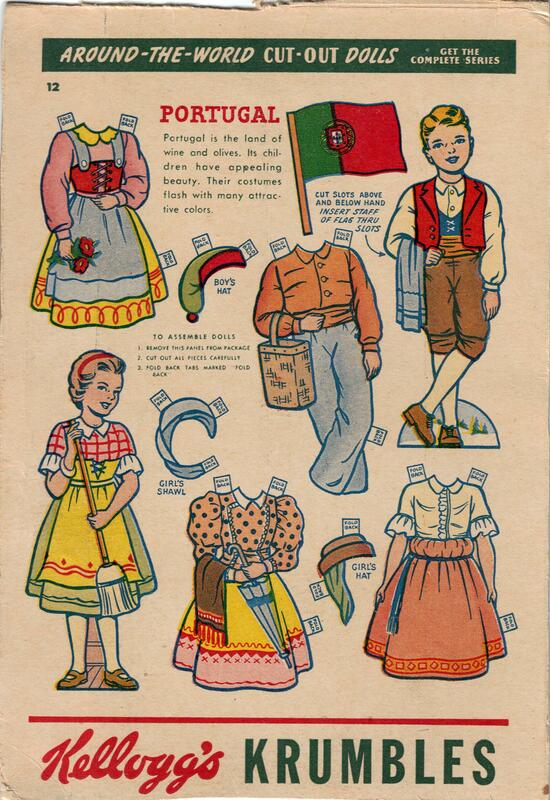 The problem is that it’s not very clear about that and the incredibly 1980s-ish outfit just made me laugh. I also felt like the marketing people behind this ad were trying to sound hip with phrases like “cool tools” and “lash blast”, but they don’t actually sound that hip. They sound kind of silly, actually, which doesn’t really go with the “expensive makeup line that doesn’t cost a lot” message. It sort of goes with a makeup line that’s cheap, which I’m pretty sure isn’t what they want viewers to take away from the ad. So I think this ad really didn’t work. The marketing people are likely right about makeup being something people spend less on when the economy isn’t so good, but I’m not sure that this was the right way to respond. What do you think?